Dress up your patio with this all-weather trellis table (a.k.a. the perfect place to rest your summer. The best way to freshen up your outdoor space is with colorful blooms, succulents, and greens. Hang this trio of pallet wood planters on your home’s exterior or garden shed walls for an instant upgrade. Everyone loves hanging chairs — and for two good reasons: 1. They instantly make your porch look super chic and 2. They are seriously comfortable. Yes and yes. If you’re short on backyard space but still want to take part in all that outdoor summer fun, opt for a fire pit that turns into a table thanks to a steel lid. It’s the best of both worlds! Stock a wheelie cart with entertaining essentials — like napkins, cups and straws — and let your drinks follow the action. 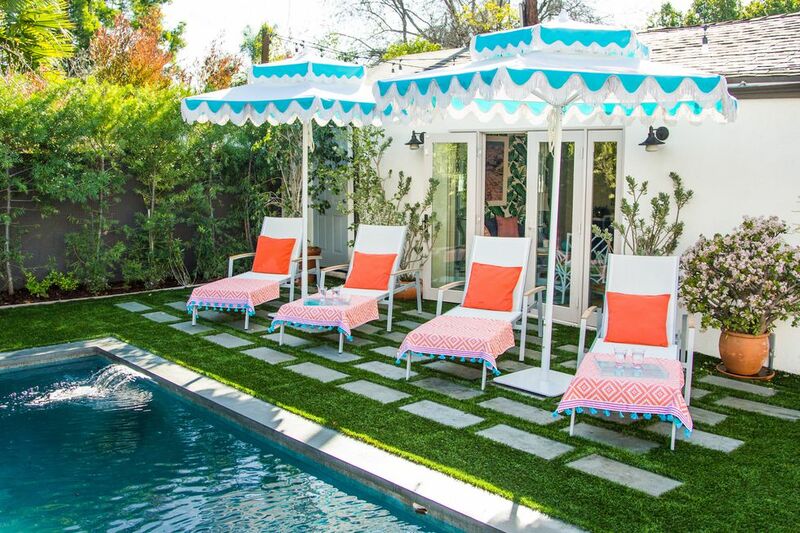 Transform a patch of grass into a camp-like retreat right in your backyard. To create a pebble patio, simply build a wooden border and fill it with gravel. 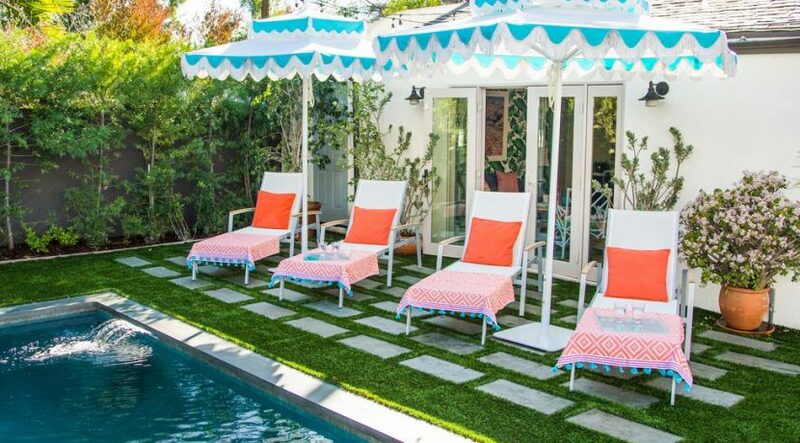 No matter the size of your pool, tasseled towels and fringed umbrellas will make you feel like you’re at a fancy resort. Don’t forget the giant swan float!